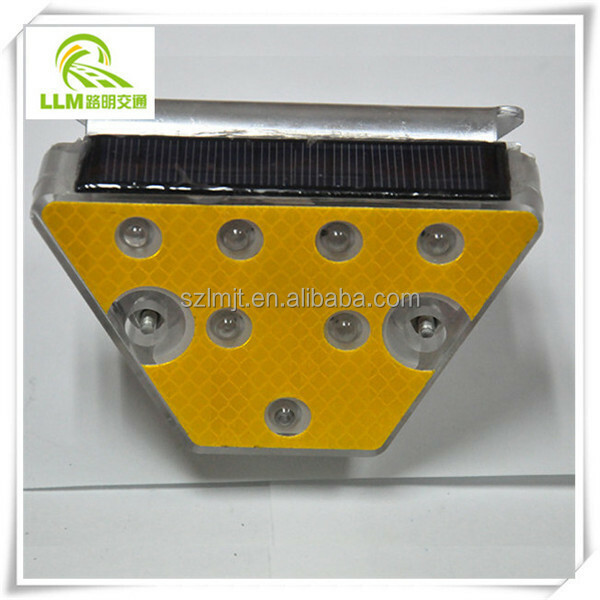 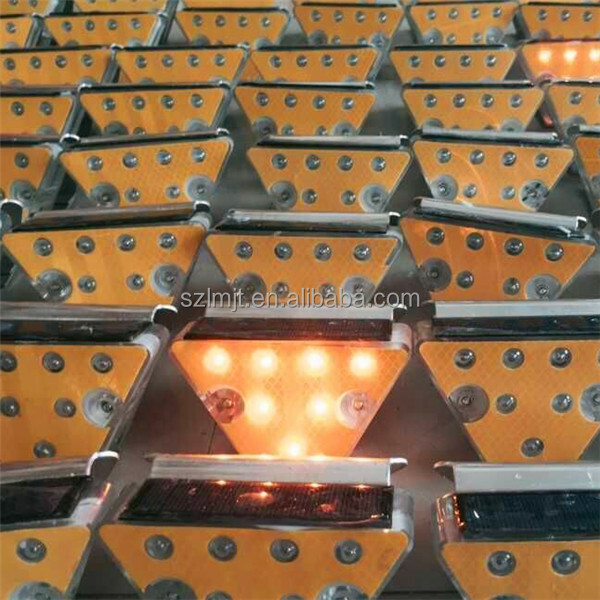 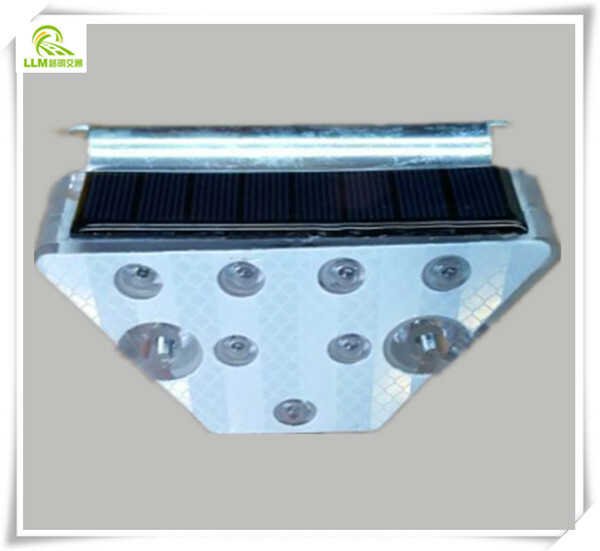 Solar delineator adopt high brightness LED as light source, according with safety standards, energy saving, high visibility, installation easily, long life, stable and reliable, non-corrosive cables, no conventional energy consumption, it is widely used in highway entrance ramp, overpass, and those rainy and foggy with bad vision roads. 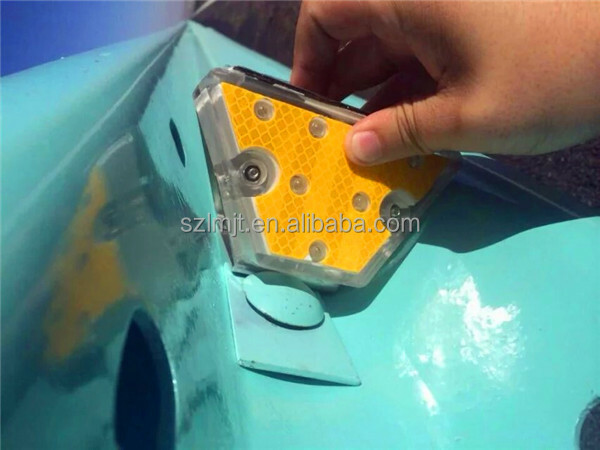 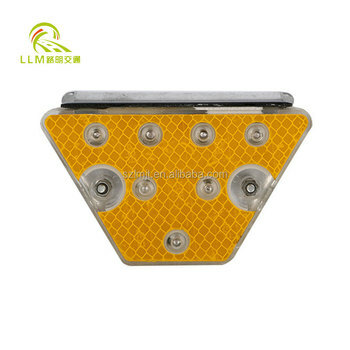 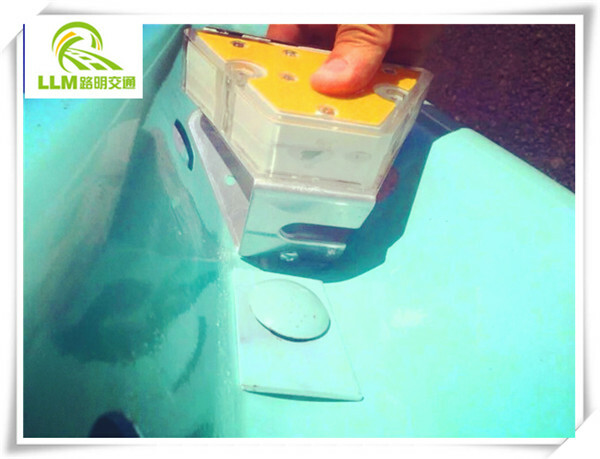 It can effectively prevent traffic accidents. 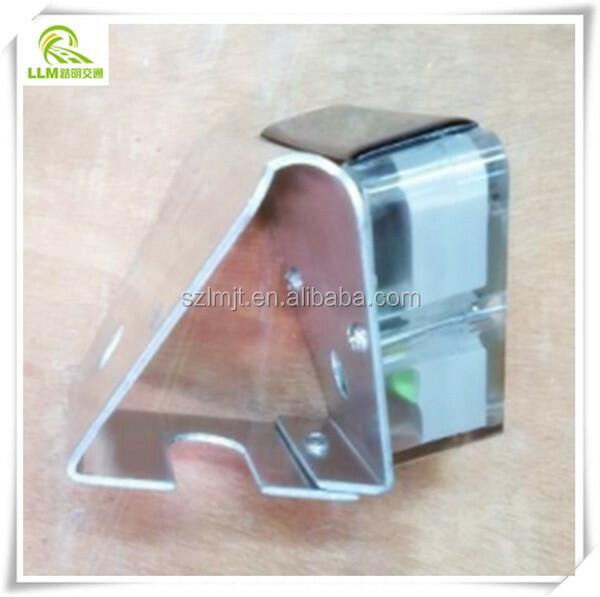 Aluminum alloy anti-theft holder, covered with PC material, 3M reflective film posted above, active and passive luminous combined together. 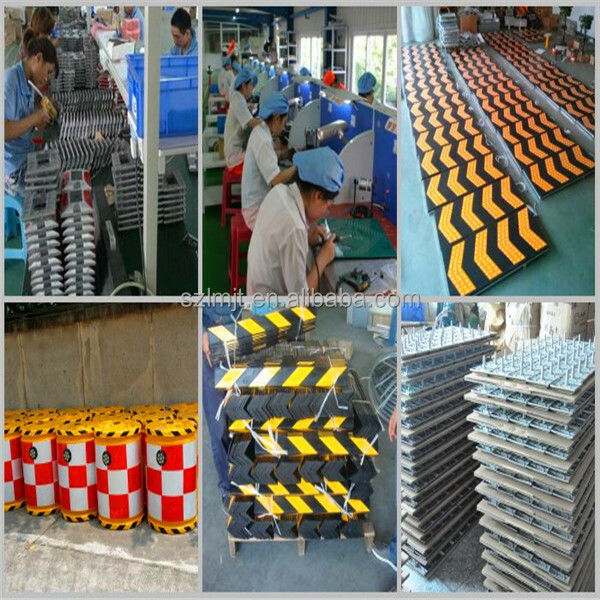 So as to achieve a better warning effect. 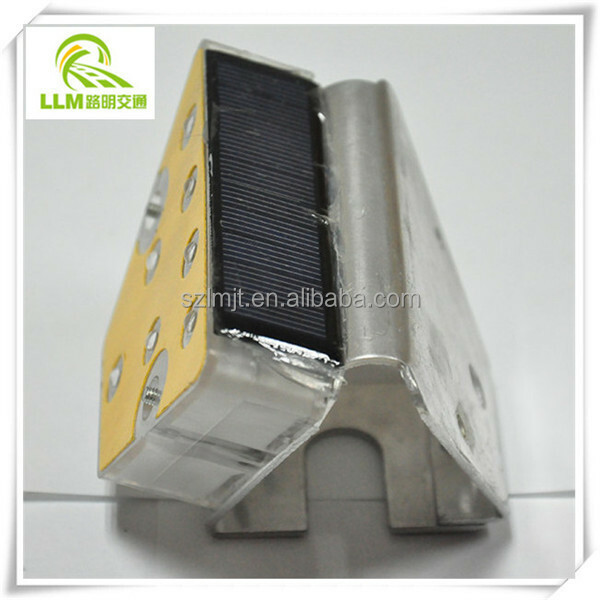 Imported monocrystalline silicon 5.5V, to achieve rapid charging effect and also can be charged in rainy weather. 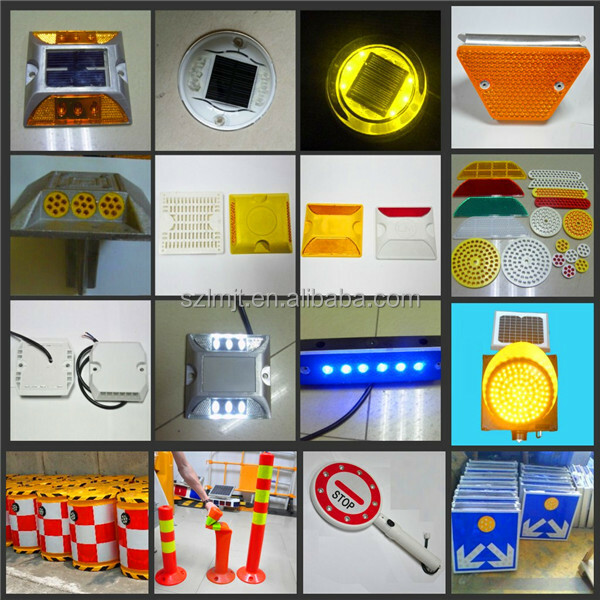 7 super bright imported LED light(color from yellow, white, red, blue, green optional) single or double sides, brighter than similar products in market. 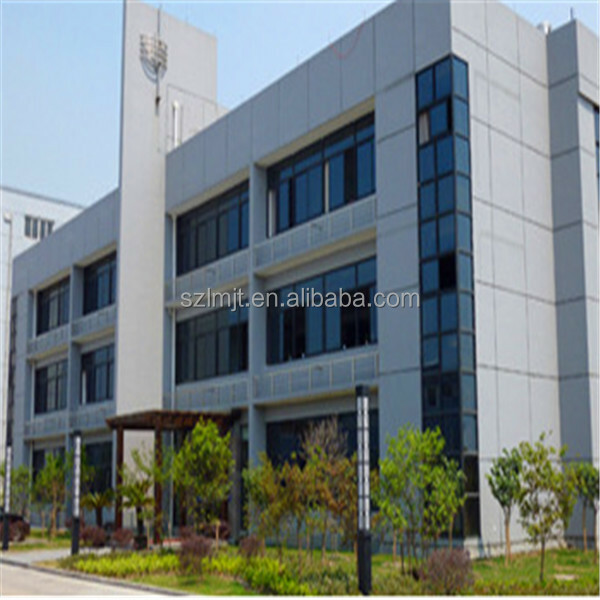 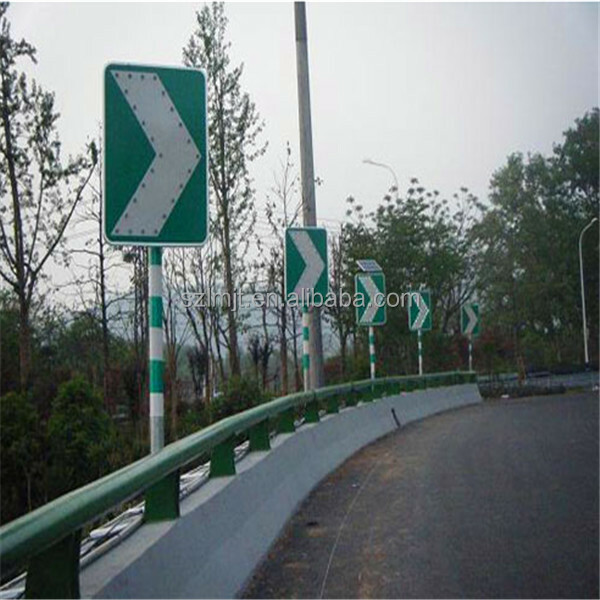 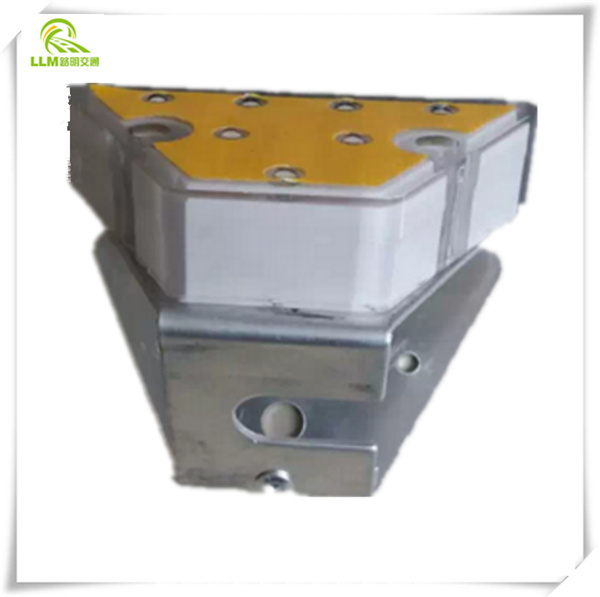 Can be installed on a waveform guardrail uppermost screws or the fence in the middle of the road and overpass. 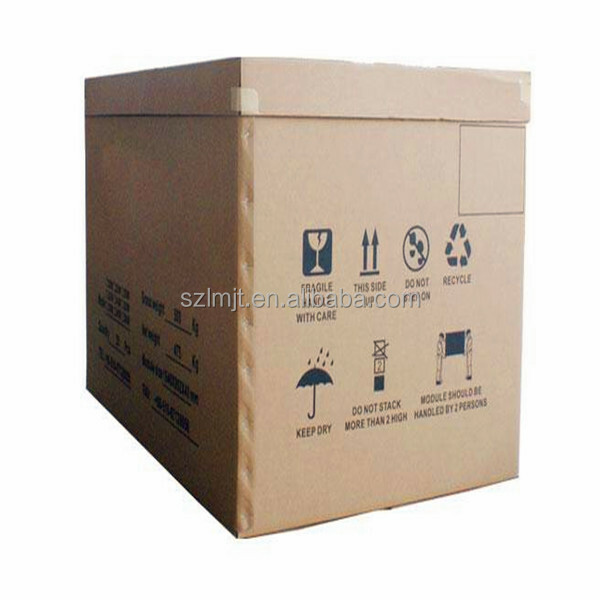 1 year in normal use, Life more than 5 years.